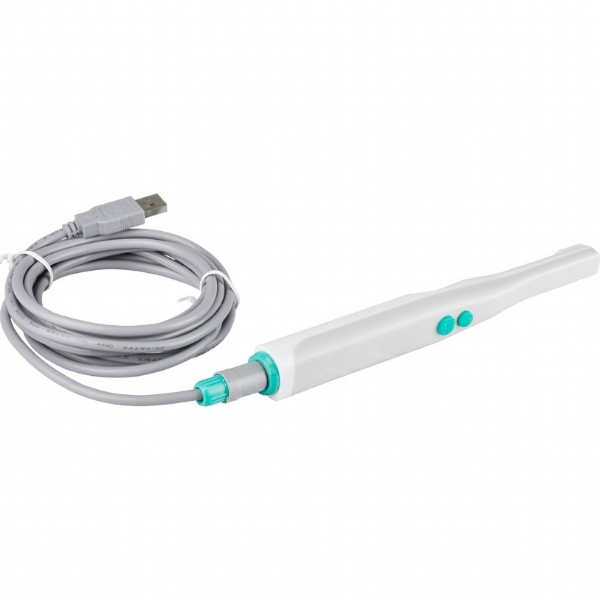 1.Super high resolution 4.0M pixel CMOS USB Dental camera. 2. 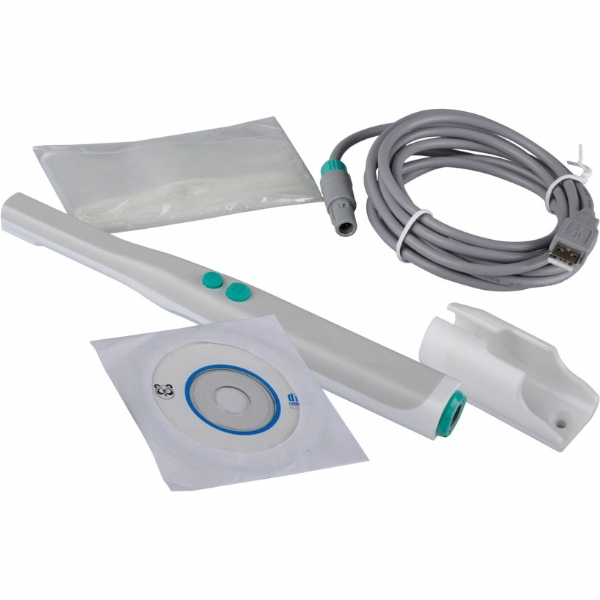 Hand piece is light (50g) and easy to use. 3. Totally 6 LED LAMPS. 4 PC ceramic LED lamps+ 2 PC Ultraviolet LED lamps. Germ stain and stone patch can be clearly observed. 4. Auto focus lens with 5mm-50mm focus range. 5. Easy set up and quick connect to the computer through the USB 2.0. 6. Excellent image managing software included. Including capture software for saving pictures on your computer. You can establish an image database for every client. Picture can be enlarged or deleted as desired. 7. Freeze Button, light on/off button. 8. 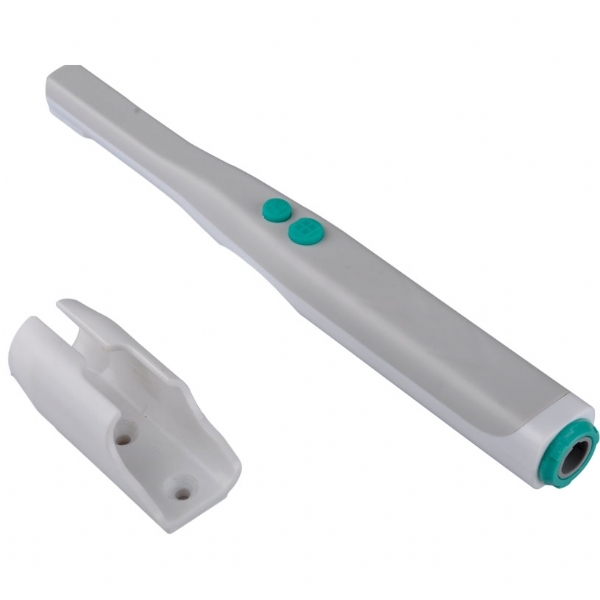 Hand piece holder with automation power off function. 9. Fifty disposable sleeves are provided to avoid cross contamination. 10. Photographing visual angel is 70 degree. 11. Fully guaranteed for ONE year.